Exposing one’s own child, albeit unintentionally, to a teratogenic substance [one that can potentially cause birth abnormalities] can cause severe guilt and anxiety in the mother. 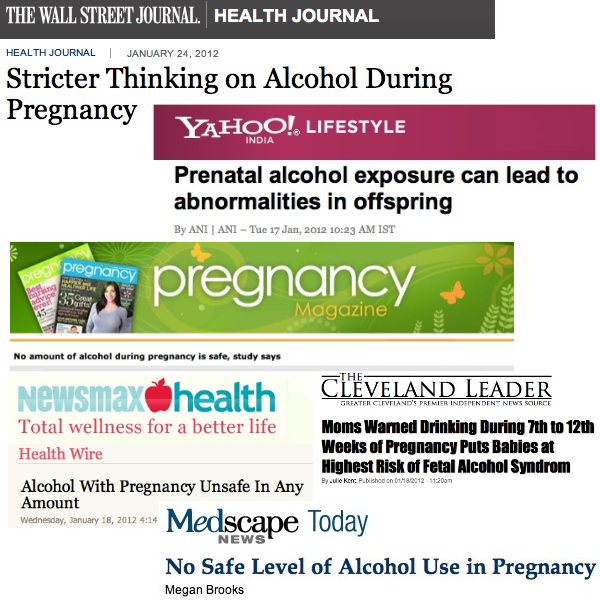 Evidence- based information regarding the actual magnitude of the risk of low level alcohol exposure during gestation is necessary in order that women can be counseled accurately and sensitively, and to avoid potentially harmful feelings of guilt and stress in the mother, which in some instances may lead to the unwarranted termination of pregnancies. On the other hand, misinformation derived from inadequately designed studies that minimizes the risk of low level exposure can also be extremely counterproductive because mothers may be encouraged to continue drinking throughout their pregnancy, potentially causing harm to the fetus. Another way to say this is that it’s dangerous to tell women it’s safe to drink alcohol during pregnancy, but it’s also dangerous to fear-monger, which could scare women into having abortions. In reviewing the three recent studies, we find that the Feldman study is hampered by numerous limitations. In fact, the Feldman study was not designed to study the effects of light drinking during pregnancy at all. But it is already gaining momentum with those who cite it as research that demonstrates the dangers of even the lightest drinking during pregnancy. The previous two studies did, in fact, focus on the effects of light drinking during pregnancy, with much different findings. None of the studies establishes a safe level of drinking for pregnant women. However, these studies add some important detail to what we know about the effects of light drinking. Let’s start by examining what the three studies were all about, and whether there are issues with each study’s credibility. Dr. Monique Robinson’s team in Australia studied the behavior of children over the first 14 years of the children’s lives, looking for effects from their mothers’ consumption habits during pregnancy. They used highly regarded models for assessing behavior, and they had a statistically significant control group of non-drinking mothers. In fact, the Robinson team examined kids born to non-drinkers, light drinkers, moderate drinkers, and heavy drinkers. The Robinson team found that the children born to light drinkers early in pregnancy tended to behave better, or “more positively”, than the children of mothers who did not drink at all early in pregnancy. Children born to heavy drinkers had all kinds of problems. The kids of light drinkers showed fewer emotional and behavioral problems through childhood and adolescence than the kids of non-drinkers. The kids of light drinkers were less aggressive and less likely to suffer from depression. This was a large sample size, and it tracked children for a long time relative to other studies in the field. Dr. Robinson concluded, “We need to be cautious about generalizing the effects of a heavy alcohol intake to a light consumption of alcohol — they are not equal.” She warned of the dangers of heavier drinking during pregnancy, and said that more study was warranted. Critics point out that the children born to light drinkers in the Robinson study tended to come from families on the higher end of the socioeconomic scale. That means their mothers were more likely to be in good general health and less likely to be doing drugs or consuming other teratogens. So perhaps the women in the Robinson study were better equipped to handle a drink on occasion during pregnancy. Study name: Light drinking during pregnancy: still no increased risk for socioemotional difficulties or cognitive deficits at 5 years of age? Dr. Kelly tells me that this study is ongoing with these children, offering a continuing look at the effects of alcohol during pregnancy. The large sample size allowed the Kelly team to study the effects of all levels of alcohol consumption during pregnancy. They worked with a statistically significant control group of non-drinking mothers. No surprise, the Kelly team found that children born to heavy drinkers have a higher likelihood of suffering in various forms of development. But Kelly’s team made a similar finding to the Robinson team in comparing the thousands of other children in the study: turns out that over the first five years of their lives, children born to light drinkers tended to perform better on a range of tests than children born to non-drinkers. Children of light drinkers had slightly better vocabularies, could reconstruct patterns and colors more effectively, and could recognize picture similarities more easily. And those children were 30% less likely to have diagnosed behavioral problems. Critics of the Kelly study generally voiced the same concerns as those who criticized the Robinson study: too many children born to light-drinking mothers, they argued, were born into the higher end of the socioeconomic scale. It was perhaps not a representative sample of the population, because the kids were more advantaged. But when I contacted Dr. Kelly to ask about this issue, she indicated that the criticism is misplaced. That’s because her team was aware of this issue, and attempted to account for socioeconomic factors before drawing conclusions. Dr. Fred Bookstein, a Professor of Statistics at the University of Washington, offered high praise for the Kelly team’s work. Dr. Bookstein’s work dates back many years, and he has focused his work on the issue of Fetal Alcohol Syndrome (FAS). Dr. Kelly wants more time to evaluate the children, and is not taking an advocacy position based on her research. Dr. Haruna Sawada Feldman’s team in California studied the results of 992 children born between 1978 and 2005. They worked with women who were drinking lightly, moderately, and heavily at some point during pregnancy. They did not follow the children for multiple years to check on development. This study was all about evaluating how alcohol might affect the fetus at different points during pregnancy. And what the Feldman team discovered was that the second half of the first trimester appears to be the most sensitive. That’s the kind of big-deal finding that is potentially groundbreaking. They divided the subgroups to examine alcohol intake at various levels, and Dr. Feldman told me that she finds this aspect to be the most noteworthy. “The most significant finding from this study was that we were able to quantify specific risks for alcohol-related minor malformations and growth deficiencies based on specific patterns and timing of exposure during pregnancy,” Dr. Feldman explained. It’s not enough to determine that alcohol caused these features if a child is born with only one of them, because some children will naturally be born with them. Older standards require at least two of the three features for a FAS diagnosis. The most rigorous standard was developed by Dr. Susan Astley at the University of Washington, one of the pioneering researchers in this field. Dr. Astley’s definition requires all three features for a diagnosis of FAS; she’s found that fewer than half the children born with two out of three will have FAS. However, when a child has all three, there is a 95% probability that the child will have FAS. Strangely, the Feldman team only reported the incidence of these features individually. Given the team’s conclusions, and given the news headlines touting this study, one might assume that many of the 992 kids were born with all three facial features related to FAS, and many more were born with two out of three. Another question naturally emerged. Remember, the headlines warned that this study found “one drink is too many” for women who are expecting. So I wondered, how many of the four infants born with almost-certain FAS, and how many of the 10 kids born with possible FAS, were born to mothers who only drank lightly during pregnancy? Dr. Feldman declined to answer that question, indicating that it might be addressed in a future paper. FAS is not always a simple yes-or-no diagnosis; experts say there is a spectrum known as Fetal Alcohol Spectrum Disorders that can reveal severe to mild effects of drinking during pregnancy. Some children might be affected both physically and mentally; others might show only physical or only cognitive defects. Is it possible that the Feldman team will dispute the notion that physical features must be seen in clusters to determine alcohol as the cause? They don’t say so in this paper, and so we’ll have to see what Dr. Feldman publishes going forward. Drilling into the details, we find other limitations with the Feldman study. 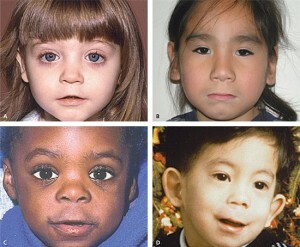 For example, in many cases, the experts who studied the babies’ faces used methods that are now considered outdated. The old way of doing things — asking an examiner to look at a child’s face and make an assessment without any kind of scale to base it off of — was not very reliable. That’s why Dr. Astley developed a five-step scale to help dysmorphologists. Keep in mind, some kids will be born with these abnormal features even if their moms didn’t drink at all. For example, less than one percent of the general population will naturally be born with the smoothest philtrum (dimple under the nose), but Dr. Astley also estimates that 5-10% of the population will naturally be born with the second rank of smooth philtrum, which qualifies as a marker of FAS. In the Feldman study, 1.9% of kids born to light-drinking moms had smooth philtrum, and 7.8% of kids born to heavier-drinking moms had smooth philtrum. It shows a correlation; as alcohol intake increases markedly, more kids are born with smooth philtrum. But both numbers fall within the range of what might occur naturally, and certainly the light-drinking moms didn’t produce an eye-catching number of kids with this feature. Even more concerning, there was no control group of non-drinking mothers. Whereas the Robinson and Kelly studies benefit from a statistically significant group of moms who abstained, the Feldman study does not. Without a control group of non-drinking moms, there is no helpful comparison with the children born to light-drinking moms. For example, a control group of light-drinking moms would have helped indicate whether the 1.9% of children were born with a natural smooth philtrum, or one caused by alcohol. “We are also looking into non-drinking women as well, but that’s for a different study,” Dr. Feldman told me. The Feldman study is also limited by the very same thing that critics pointed out regarding the Robinson and Kelly studies: It was not a representative population sample. The 992 mothers from the Feldman study contacted a telephone help line because they were concerned about what they had put into their bodies. More than 23% were doing drugs – cocaine, heroin, amphetamines, or marijuana. Another 4% had ingested other potentially harmful substances. The Feldman team considered those things, and didn’t find them to strongly impact the infants’ development of physical features related to FAS. But you could certainly never say this was a representative population sample, from which it’s appropriate to offer wide-ranging conclusions. And the critics who complained that the Robinson and Kelly mothers were too upper-crust have gone silent regarding the Feldman mothers, who came from the low end of that scale. Dr. Astley points out that some of the Feldman study’s limitations are not the fault of the researchers. For starters, a lot has changed since 1978. As mentioned, the methods that experts use to evaluate a child have become much more precise. Also, the team is missing data regarding eye size for 212 of the children because those children were crying or uncooperative to the point that the dysmorphologist couldn’t take a useful measure. One might begin to wonder how a study of this nature could ever lead to the conclusions and headlines that we’ve seen. Dr. Bookstein examined the study and found it was simply never constructed to make a comment about light drinking during pregnancy. If anything merited a headline from this study, surely it was the fact that the Feldman team saw a more sensitive effect of alcohol during the second half of the first trimester. But the media’s focus shifted when the Feldman team concluded that their study showed “no safe threshold” for alcohol consumption during pregnancy. They weren’t looking for one, and based on the myriad variables in the way our bodies work and our lives unfold, they would never find one anyway. That added line clouded the entire purpose of the study, and as a consequence, the news media missed or misinterpreted the point. It’s a lot to digest, and it’s instructive to examine how news reporters disseminate this information to the public. Reporters covering the Kelly study occasionally drew their own conclusions. One headline declared that “Light Drinking During Pregnancy May Be Beneficial for Children.” The reporter might have interpreted the study to mean that the kids performed better on tests because of their mother’s light drinking, but Dr. Kelly never said that. In fact, Dr. Kelly was simply making the point that light drinking during pregnancy did not appear to cause any problems; she was not advocating for pregnant women to pour a drink or two a week. For each drink consumed each day over the daily average in the second half of the first trimester, the women’s babies were 12% more likely to have a small head circumference, 16% more likely to have low birth weight and over 20% more likely to have a very thin upper lip or lack of a vertical indentation between their noses and lips. While seemingly minor, those characteristics are typical of fetal alcohol syndrome, or FAS. What, exactly, is the “daily average” referenced in the article? The reporter doesn’t say. I shared this with three different women in my office, all of them mothers. I asked them to interpret what those percentages mean. All three agreed on what it seemed the article was saying: that 20% of babies will be born with facial features indicative of FAS if their mothers have one drink daily, and 40% would be born with those facial features if their mothers had two drinks daily, etc. Same for birth weight: They thought the article was saying that 16% of babies will be born with low birth weight if their mothers had one drink daily, and that number would increase to 32% with two drinks, 48% with three drinks, etc. Clearly, they thought, the article is saying that large percentages of babies would be born with physical defects based on even a light or moderate level of drinking. This is a very good example of how poorly the news media handles statistics and research. Context is everything, and in the reporting of this study, context is absent. I picked on the Wall Street Journal in this instance, but you’ll find that nearly every news report on the Feldman study used those numbers without context. 98.4% of mothers who drank light amounts of alcohol daily during the first trimester produced children with no evidence of FAS. Of the 1.6% of children born with such features known as smooth philtrum (the lack of a dimple below the nose) and/or thin vermillion border (very thin upper lip), it is not known how many of those children would have been born with those features regardless of alcohol consumption. It is possible that some or all of the 1.6% features are naturally occurring. The researchers did not explain why they chose not to compare light drinking mothers to non-drinking mothers. Mothers who admitted consuming more than one drink per day during the first trimester (and this group includes binge drinkers) saw the chances of physical abnormalities in their babies rise. For example, in that group including binge drinking moms, 4.7% of infants were born with a thin upper lip, up from 1.3% born to mothers who drank lightly. The study did not follow the intellectual, emotional, or behavioral development of the children born with those abnormalities, nor did it report the number of children found with multiple features related to FAS. And so on. Does it appear that there is a correlation between heavy drinking and physical abnormalities related to FAS? The Feldman study shows that, once again, the answer is yes. But it seems that news reporters have simply accepted the other conclusions of the research team without drilling into the data. My colleague Adam Chodak points out that most news reporters are not trained to sift through the dense publications of medical research. To that end, reporters have to rely on researchers to offer cogent, clear conclusions. He’s right. But that does not absolve reporters from asking basic questions and adding context to numbers that might be confusing for most readers. Research has demonstrated that FASD can occur in women who drink only a few times or drink small amounts on a regular basis during pregnancy. When I asked for the research that supports this statement, Program Director Dr. Natalie Brown sent me the Feldman study, “hot off the press,” as she said. She told me it was right on point, but certainly we know that the Feldman study does not demonstrate that FASD can occur if women drink only a few times during pregnancy. If there is other research that does demonstrates this, Dr. Brown did not provide it to me. We should be careful not to take too much from the Robinson and Kelly studies, as well. Dr. Kelly stressed to me that more research, and more studies, are necessary. Dr. Feldman, who has been accessible and helpful, tells me that her team is already engaged in more study. That’s heartening. Dr. Astley continues to do pioneering work in the field. Dr. Kelly’s team has an enormous sample size from which to draw ongoing observations. No matter what the future research reveals, it’s almost impossible to envision a scenario when the prevailing medical advice changes. After all, alcohol is a teratogen. In larger doses, we know that alcohol can cause birth defects. Every person’s body is different; every woman processes alcohol differently; no two people consume exactly the same food while drinking; etc. We will never be able to determine a “safe” threshold for drinking during pregnancy. And consider the at-risk women who populated the Feldman study; no doctor would want to counsel those women that “a drink on occasion” is probably fine. Some people can not stop at one drink. Doctors are justified by science in counseling women to avoid alcohol while pregnant. With more responsible reporting from the news media, and further study from the scientific community, women can receive the kind of information that will help them make the best decisions for themselves and their babies. I have a unique perspective on this as in addition to selling wine in a retail environment, I’m also very close to a FAE child. I cannot express the frustration, self esteem issues, anger, confusion, pain, heartache, physical danger that FAE can result in. We need education- no pleasure anyone can derive from drinking will make up for one episode of “math homework” when a 10 minute assignment takes 2 hours (due to the nature of the brain injury- the child on the previous day might have whizzed the homework off in 10 minutes- leading to a parent thinking the child is being intentionally difficult). We have a lot of love and it pains me that an innocent child is suffering due to his birthmothers issues. I have no doubt that one or 2 drinks is overwhelmingly ok but is the risk worth it? Evan- PM me if you wish to hear better and more complete detail. Ed – I think your thoughts will be echoed by most people, and keep in mind, we stress in this piece that there is no known safe threshold of alcohol intake during pregnancy. One woman might be able to handle moderate drinking; the next might have a child with some impact from alcohol after light drinking. It’s possible. When it comes to light drinking mothers who are otherwise fit and eating well, the risk appears to be very low; otherwise, doctors would not so readily counsel women not to abandon pregnancies after they had been drinking lightly. Remember, we’re talking about women having abortions over this issue. So I would say that women have to weight all of that. Dr. Robinson says women who drink lightly and socially might benefit from the reduced stress of an occasional half-glass during pregnancy; certainly we need a lot more research on that subject to be sure. We do however have friends that were pregnant at the same time that opted for moderate wine consumption (I respect their decision and did not judge that decision either way). Thankfully we were all blessed with healthy babies (not that this provides a conclusion on health of alcohol vice no-alcohol decision). In the end, this is a personal decision but the least risky clearly appears to opt for no-alcohol. Like you, I hope to see more responsible reporting from media and more robust study from the scientific community to help make educated decisions. Well said, Frank. I think your approach is clear-headed and reasonable. It’s probably worth adding that many, many doctors and researchers I spoke to are most concerned about at-risk women. It would be beyond foolish to advise a pregnant alcoholic that it’s okay to be anywhere near alcohol. Some researchers I spoke to find it tiring that we continue to see studies on light drinking when we know how dangerous heavier drinking is, and how vulnerable some of the population is. It’s been decades now since FAS findings (and then FAE) showed the risk to be much greater in heavy alcohol-drinking women, and there has also been shown a connection to drugs in conjunction with the alcohol. These studies, at least two of the three, seem to bear out that information. But one of the things that journalists also need to do when they write and analyze studies is do some research into the funding behind the studies. All too often, studies are funded by an agenda group or tow, then headed by “like-minded” researcher/s and then published in like-minded periodicals and then disseminated to like-minded organizations, often the ones that helped fund the studies. Also, if newspapers and magazines want good coverage, they ought to give scientific studies to a science journalist and not a headline grabber. This kind of disgusting way of reporting what may or may not be news has been ongoing for generations, to the point that we have created not only a weak and untrustworthy media, but we’ve also created scores of official dos and don’ts for the sake of many agenda-driven studies. Evan, your analysis is spot on. Did you take a look at the funding lineage? I did inquire about funding; Dr. Feldman told me that there was no funding, and the study was part of her dissertation research. You’re right to say that there are occasionally things to be learned from checking out funding sources. Published studies tend to have funding listed, along with a potential conflict of interest disclosure, if there is one. The other point I would stress is that even medical reporters seem to be struggling with studies in this area. General assignment reporters, sure, understandable. Medical reporters should probably be better equipped to wade through them. Evan: You are a brave man to wade into this topic. As an editor at a large newspaper I tried to commission a story on it and nobody would touch it for fear of the backlash. I bow in praise of both your story and your courage. I trust people with facts. It’s our responsibility to do our very best to present information accurately, and if we do, I think people can handle it. That doesn’t make a piece like this “pro-drinking” (as one reader declared). Evan – this is as thoughtful a post on this subject as I have ever seen. My wife and I both took advanced degrees in biochemistry, cell & molecular biology. We both have experience as peer reviewers for research papers submitted to scientific journals, as well as for grant applications submitted to NIH and NSF. We are well-qualified to evaluate scientific literature with respect to the validity of experimental protocols as well as the conclusions drawn from even the densest statistical analyses. 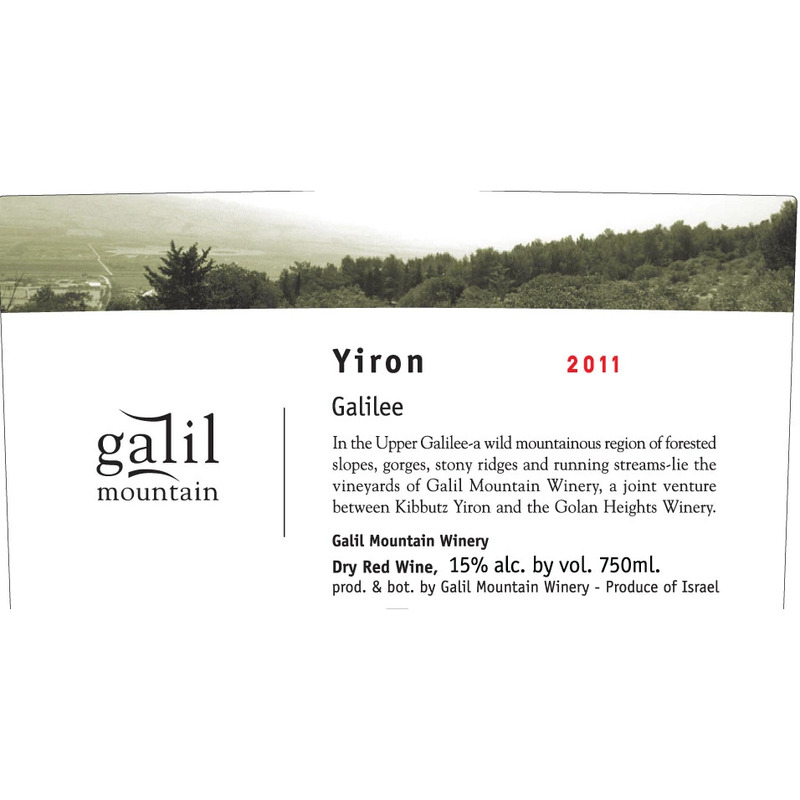 I’m also a winegrower with nearly 3 decades in the business of producing and selling wine. Before we decided to have kids 10 years ago my wife and I read the available primary literature on fetal development. We came to the conclusion that it would be prudent to limit drinking during her pregnancies, but saw no credible evidence that alcohol should be avoided altogether. We have been blessed with two beautiful, brilliant and well-behaved children. I can state categorically that among our acquaintances light drinking (2-3 glasses of wine a week) during pregnancy has been the norm, and that none of these many kids have been diagnosed with FASD. If the Feldman et al. paper had landed on my desk for review in anticipation of publication in, say, Journal of Cellular Biology or New England Journal of Medicine I would have recommended that the editors reject it. The self-selected study group and lack of control group disqualify the work as adequate science on their own. In my opinion the FASD evaluative criteria are also mis-applied, as the visual diagnostic criteria were considered independently. The most fatal issue of all is the total lack of correlation with other pregnancy risk factors among members of the study group. Because of these methodological deficiencies I would say that even their most robust conclusion, that the 2nd half of the first trimester is the most sensitive period for alcohol consumption, is not supported and anecdotal at best. It is worth noting that the Feldman et al. paper was published in Alcoholism: Clinical & Experimental Research and that Dr. Christina Chambers, the senior author on the paper in whose lab Dr. Feldman is doing a post-doc, receives substantial funding from the National Institute On Alcohol Abuse And Alcoholism. There is no question that alcoholism and alcohol abuse are major issues in the context of social medicine and public policy. These issues need to be addressed as a matter of moral principle as well as for their effects on the costs of public health. But the misinterpretation or over-interpretation of the results of this study, whether willful or not – appears to attempt to directly imply that any alcohol use during pregnancy is tantamount to child endangerment. This has troubling implications in several areas of law and public health policy. Don’t worry John, we now have a bill in both houses of congress that would exempt companies from offering any health insurance service that goes against their moral compass. Morality is what the powers that be are trying to cram down our throats–public health policy is just one more way to do it. I am deeply gratified by your response. I can tell you that I had the help of a group of folks with scientific backgrounds helping break down the details of the Feldman study in particular; it can be overwhelming for a reporter lacking such training. This piece was lengthy enough to begin with, and we took care to edit out the material that burrowed too deeply. There were certain aspects of the Feldman study that deserve praise, and other aspects (that were omitted from this piece) that were lacking. They certainly deserve credit for recognizing that confirmation bias is a potential issue with a dysmorphologist, and the double-blinding was well conceived. Also, as you know, women tend to under-report alcohol consumption, particularly when asked to recall their behavior from years ago. This study took care to remedy that issue, as well. In the end I don’t seek to stake out any other position than one that advocates clarity. I believe that adults can understand facts when presented honestly, and I also understand very well why the medical community must be extremely careful not to send the wrong message to at-risk women. It’s a delicate situation. But one advocacy website declared that any pregnant woman who drinks even lightly is “playing Russian Roulette with the health of her child.” That is the kind of hyperbole that results in unnecessary termination of pregnancy. Thank you, very much, for sharing your thoughts, and please follow up if anything else strikes you. Evan, thanks for the opportunity to comment. I also advocate clarity, and want to emphasize that the personal decisions my wife and I made were for us alone; we would not and should not expect that our personal choices guide others. Nor should our choices be any of their business. Not everyone has the background necessary to interpret these issues. Through good fortune and hard work I am one who is. Because of this I feel an obligation to push back against the explicit self-interested cupidity of those who seek to distort public understanding of science to move law and public policy in non-reality-based directions (as along the lines Thomas noted). When it comes to women with substance abuse issues or other risk factors who may (or are trying) to become pregnant, in my opinion it is not a delicate situation: they should be discouraged by all possible means from drinking. But we have to ask ourselves how far we will go as a society to discourage this behavior. Criminal penalties? Some might say yes. Do we want that mindset to become dominant, or even further ascendent, in our culture? But we are so far from understanding the real risks of light to moderate drinking during pregnancy that there exists no basis on which to make law or policy. Alcohol is not thalidomide. Alcohol is completely and rapidly metabolized and its metabolites are benign. 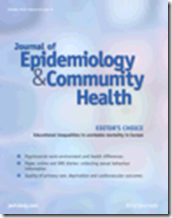 There are so many factors impacting the effects of alcohol – synergies with diet, environmental exposures and genetics, as well as with OTC, prescription and lifestyle drugs (including tobacco) and other morbid conditions – that a comprehensive understanding may be beyond experimental design and complete elucidation. In the absence of understanding at the molecular developmental level, longitudinal observation can provide guidance. Women have probably been drinking alcoholic beverages during pregnancy since the before the dawn of civilization. Certainly many of the mothers of my generation drank during pregnancy, and given the creep in dietetic recommendations, probably at higher levels than would be considered “light” by today’s standards. The idea that all of us children of those mothers are somehow damaged as a consequence would be insulting if it weren’t so laughable. The idea that alcohol must be completely avoided by all mothers during pregnancy in order to make more perfect babies smacks of eugenics. Dr. Bookstein told me that he no longer supports research into the effects of light-to-moderate drinking during pregnancy. In his view, the matter is essentially settled; he has deep concern for at-risk women, and he feels that research dollars and energy should go toward finding ways to educate those women and work to prevent FAS. In some ways, recent evidence suggests that the old saw is right: The only absolute way to avoid FAS or FASD is to completely abstain. However, given probabilities loosely assumed based on these studies, it’s not much different than saying that the only way a pregnant woman can guarantee she won’t injure her baby in a car accident is to cease traveling. The delicate part comes in medical recommendations. I understand your points, but if I were a doctor, how could I know a patient’s history with alcohol? How could I know whether they’re capable of having a glass of wine and no more? How could I know what they eat with the alcohol they consume? There is no clear safe threshold, so the prudent medical advice is abstention. But that should come with a calm demeanor, not a fear-mongering one. I assume most doctors feel this way, too. We now know that women are asking about abortion based on light drinking. That’s a big problem. It is no longer good enough to say, “Scaring women is fine because they’re better safe than sorry.” That mentality leads scared women to abort, and if light drinking were the same as heavy drinking, doctors wouldn’t routinely counsel women against termination. That said, I agree with you that no physician in his or her right mind can afford to say anything other than “you should abstain” – fro a liability exposure standpoint. However, I totally disagree with the idea that there is “no safe threshold” – that is utter nonsense, and the fact you parroted it suggests just how deeply this meme is already imbedded in the cultural psyche. Very nearly everything has a safe exposure threshold. John – I don’t dispute the notion that there could be a safe threshold for alcohol intake during pregnancy. I simply don’t see how it could be uncovered, given all the variables piled on top of it. Do you? As a pregnant woman entering her second trimester, I really enjoyed reading through this analysis. It was clear, thorough and unbiased. Thank-you. Our pleasure, Zoey. Here’s wishing you a healthy pregnancy. Evan I don’t want to belabor the point, but I suggest that we do know what the safe threshold is. It seems to me that it is the amount that women were drinking before people started to use poorly-designed research to suggest that there is no safe threshold. You mentioned that Dr. Bookstein no longer supports research into the effects of light-to-moderate drinking; no doubt part of the reasoning is to assure allocation of resources to those heavy drinkers we know are at risk. Equally it might be because Dr. Bookstein understands there is no there, there when it comes to the effects of light-to-moderate drinking on fetal development. For me the bottom line is that adults need to educate themselves in order to make these dietary decisions – for themselves. Once again, thanks for the great article initiating this discussion. I appreciate the opportunity to contribute my views. Dr. Bookstein stressed one important point in my communications with him. He pointed out that there is a significant difference between saying you “didn’t find a safe threshold” and saying you “proved harm at the lowest nonzero levels.” The Feldman team did the former, not the latter. The former is almost meaningless; they never set out to determine a safe threshold, and what they’re actually saying is, “The status quo for the medical community’s advice ought not change based on anything we’re seeing. No news here.” They’re not saying, “We proved that there is harm all the way down to the lowest nonzero levels.” But again, the news media fails to understand that distinction. There have been no studies that demonstrate harm at the lowest nonzero levels, and I suspect Dr. Bookstein would say there won’t be any such studies forthcoming. The main problem with the concept of a “safe threshold” for alcohol use in pregnancy is that the toxicity of alcohol varies depending on what is happening within the pregnancy at any given time, and on a lot of other maternal issues, like emotional stress, nutrition, metabolic differences, genetics. Some women metabolize alcohol much more slowly, so blood levels stay high longer. There are undoubtedly genetic risks that don’t happen unless triggered by external factors – fetal toxins are external factors. “Epigenetics” is the notion that genes interact with each other and the environment in hidden ways separate from simple inheritance, – alcohol exposure, before or after birth, is a very likely player in those games. The relevant threshold would vary with who you are genetically, how much you drank, what else you’ve been doing, when a particular exposure occurred and what the fetus’s little body and brain were doing at the time. Pretty hard to study that kind of detail, in any ethical way. “the amount that women were drinking before people started to use poorly-designed research…” suggests that the whole FASD construct is an illusion, and will eventually go away if we ignore it somehow. Would that were the case, but, not. I think this is all very well stated, Phil. Thanks for stopping in. This is almost exactly the point that Dr. Bookstein made to me. There’s too much happening to ever get close enough, and remove the variables sufficiently, to determine a threshold. It’s a futile pursuit. At the same time, we must realize that every time a study “fails to determine a safe threshold” is not an occasion for ominous headlines that “every drop counts” and “even one drink too many for pregnant women.” That’s how we end up with women terminating their pregnancies based on fear. Evan – from the beginning of the article you have been spot-on with the focus on the fear factor. Dr. Mattheis – There is no question that FAS is a real pathology related to heavy alcohol use, whether or not other lifestyle, environmental, or epigenetic factors play a role. However, fetal alcohol “spectrum disorder” is a post hoc construct. I’ve had this discussion with a Ph.D. Ob/Gyn and two pediatricians, and from these discussions have gleaned that this is apparently how the “spectrum” is being constructed: A neonate presents with small “defect,” is it established that the mother consumed “some alcohol” during pregnancy, and voila that minor defect is now a candidate for the “spectrum” – because we can’t prove that the defect wasn’t caused by the alcohol consumption. It is the precautionary principle taken to an absurd level. I’m afraid your sources left you with a very limited and inaccurate view of FASD as a diagnostic construct. The term is seldom used with neonates, nor appropriate for “minor defects”. There is a well-established and evolving process for defining the specific deficits in neurologic, cognitive, and behavioral functions that make up the significant impact of disorders related to brain injury caused by fetal exposure to alcohol. There is no value in assigning blame for a “small defect”, and a pregnant woman’s use of alcohol is not sufficient to assign a diagnosis. The point of the process is to ensure that children with real developmental problems have their needs recognized, accurately defined, and addressed with effective treatment. FASD is not “faith-based medicine” that you can choose to believe in, or not. John gets to the salient point. I’m no doctor, nor am I a scientist, but as a prostate cancer patient I’ve learned far more than I’ve ever planned to know regarding the value of medical research and the many avenues used by interested parties of all stripes to muddle the research results with agenda-driven hyperbole at the least, and intrusive policy ramming at the worst. I feel for doctors who worry about liability, but I have no particular regard for that position causing a doctor to avoid giving patients the facts and have them make their decisions, rather than to take the easy way out and to make blanket pronouncements one way or the other, and especially when those announcements might be based on flawed, agenda-driven research, which much of the FAS debate centers around. Does anyone know of research that identifies first, the number of proven fetal alcohol cases and second, the role of lifestyle (drugs, alcohol, nutrition, smoking, overall health) in those proven cases? The point of the process should not be to shame mothers of these children for their behavior, nor should it be to cause unsubstantive fear and anxiety in prospective and expectant mothers. I do not argue that FASD is “faith-based medicine” – however you present no refutation that FASD is a post hoc construct. You state that “[t]here is a well-established and evolving process for defining the specific deficits in neurologic, cognitive, and behavioral functions that make up the significant impact of disorders related to brain injury caused by fetal exposure to alcohol.” How old are the children presenting with developmental problems? And exactly how is it that you unequivocally demonstrate that these developmental problems were caused by fetal exposure to alcohol? I’m reading the current science – and I have found no identification of markers for damage from alcohol outside the FAS criteria. The individual FAS criteria are not absolute, and must be observed in concert to make a diagnosis. I’d love the opportunity to review any literature you can point me to on diagnostic markers for brain injury caused by fetal exposure to alcohol outside the dysmorphological criteria for FAS. I think the phrase “didn’t find a safe threshold” is the point. No scientist or medical professional can state categorically, without a doubt, 100 percent that drinking while pregnant poses absolutely no risk. And there’s hardly a consensus concerning what level of alcohol intake, if any, poses the minimum risk. Unless someone truly enjoys playing Russian Roulette with their unborn child, the best thing to do is not drink until the child is born. And if you do like playing this version of Russian Roulette, you probably should think twice about becoming a parent. I don’t see what the big deal is about abstaining for nine months. No one f*****g knows. What right does anyone have to risk the well-being of a child? Ken – See, this is exactly the point and the problem. The research demonstrates conclusively that women who drink lightly are NOT ENGAGING IN THE SAME RISK as women who drink heavily. Women who drink heavily are putting their unborn child in danger, no question. You might say they’re playing Russian Roulette, I suppose. But when you use that kind of over-the-top rhetoric, saying that any woman who drinks even a little is playing Russian Roulette with their unborn child, you know what happens? Women get really scared. They have abortions. This is not supposition. I have spoken to literally dozens of doctors and researchers, and we see medical institutions concerned enough to cite this very development in public commentary. No, Ken, a woman who drinks lightly (as defined by these studies) is NOT playing “Russian Roulette” with a fetus. Russian Roulette is a one-in-six chance of death. That is way, way off the map when it comes to actual impact of alcohol. Now, you can argue that scaring pregnant women is fine, because hey, maybe they’ll stop drinking – and better safe than sorry! But again, it misses a tremendously important point: Nearly 50% of pregnancies in this country are unplanned. Most women will drink at least socially on occasion. That means that potentially two million children a year are born to women who didn’t know they were pregnant for the first six weeks of their pregnancies, and many of those women were drinking at some level. When you tell those two million women that they were unwittingly “playing Russian Roulette” with their unborn children, you are going to have some percentage of them choosing to abort. We know this. It’s a fact. Of course, if it’s your position that all pregnant women should abort if they’ve been drinking even lightly, then say so. But otherwise, we have a very serious situation with women and fear-mongering. Well, maybe they should give serious consideration to aborting their pregnancies if they believe the fetus may be endangered because they were drinking before they knew. Obviously, that’s the woman’s call in each case. Who can say how many, if any, doctors recommend abortions to patients who have been drinking on a regular basis? I sure don’t have enough data to form an opinion on that. Neither do you. Your remarks make it sound as if minimal drinking has been proven not to be risky. Such a position has not been taken by scientists. So yes, still Russian Roulette, taking needles chances, gambling with the health of an unborn child or whichever other phrase you like. As I taught my students in journalism 101, if you write it, cite it. Come now, Ken. You think we’ve failed to show that women are terminating pregnancies based after having drank lightly and then discovered they were pregnant? Start with the Sick Kids Hospital in Toronto. I quoted their paper toward the start of this piece, in which they write, “feelings of guilt and stress in the mother, which in some instances may lead to the unwarranted termination of pregnancies.” Do you think a reputable hospital would include this (rather jarring) line if they weren’t certain this was already happening? Then there’s Dr. Lichtmacher at Rochester General Hospital, also quoted in the piece, who said he hears from women “every single day” asking if they should abort. In fact, I spoke to more than a dozen OB-GYNs and scientists who have spoken to literally hundreds of women over the years after these women looked into abortion. It’s not a myth, unfortunately. Your flippant comment that no one can say how many doctors – if any! – have counseled women about abortion is silly and disrespectful to medical practitioners. I’ve spoken to many, many of them during the research for this story. I promise you, they are not avoiding telling women to have abortions because that’s the easy route. And no, Russian Roulette is not remotely a fair comparison. You teach journalism! I would think word precision matters. It’s fair to say that there is no provable safe threshold of consumption during pregnancy, and it’s fair to say that we’ll never be able to tell any individual patient that they’re safe to consume lightly. Therefore, some might reasonably conclude that “any drinking is an unnecessary risk, even if that risk is very small.” But one might not reasonably compare that to Russian Roulette, which offers a 1/6 chance of death. Words matter. All we know, based on the research, is that 1) We’re unlikely ever to demonstrate a safe threshold, and 2) Women who consume lightly during pregnancy have not produced children with demonstrably impaired cognitive and emotional abilities. We also know that more research is needed. Sleeping with my cell phone under my pillow has not been proven to not be risky. Russian roulette with my child’s life. Taking the anti-nausea pills my doctor prescribed me has not been proven to not be risky. Russian roulette with my child’s life. Drinking from plastic bottles has not been proven to not be risky. Russian roulette with my child’s life. The research on stress levels has been all over the map in terms of fetal development, but certainly, high stress levels have not been proven to not be risky. Russian roulette with my child’s life. What’s the big deal with abstaining for 9 months, when no one f*****g knows? Really, the only right I should have to risk my child’s wellbeing is to live in a tower in the woods eating organically grown fruits and vegetables for 9 months, far away from my high-stress, high-powered job. Frankly, the things I mention above have equivalent or stronger scientific evidence standing behind them when compared with light drinking. Seems like good old-fashioned paternalism and puritanical distrust of moderation. Thanks so much for this clear-headed, well-reasoned piece. I am six months pregnant and have had much conflicting advice on this topic from friends, family, and colleagues, and wondered what the actual science behind their advice might be. I have felt put off by the “how-could-you-even-look-at-a-glass-of-wine” guilt trips but also doubtful of the carefree “Europeans do it” attitudes. I also catch a whiff of condescension and bullying in some of the articles on this subject, as if pregnancy somehow robs you of an adult capacity to make your own good decisions, weighing the quality of the data. Why not just say “we don’t really know but we do know you shouldn’t drink a lot” rather than issue all-encompassing threats based on slim data. It feels very good to have real picture of how much scientists do know, so thank you. What’s the greatest solution to lose additional lower belly-fat on women?.